The choice PC headset of eSport athletes around the world has now come to the console. 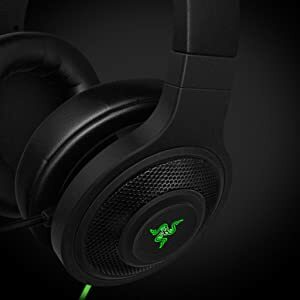 The Razer Kraken Gaming Headset for Xbox One is engineered to deliver rich precise audio while isolating noise from the outside, so you can enjoy high-quality sound from its large 40mm Neodymium magnet drivers for hours on end. The unidirectional analog microphone leaves no room for miscommunication and can even be flipped up out of view when not in use. 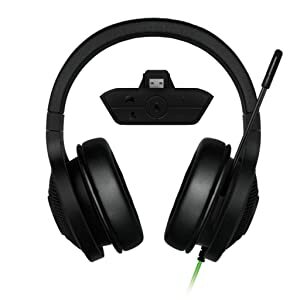 The included stereo headset adaptor removes the hassle of having to take your hands off your Xbox One controller when you need to mute your microphone or turn up the game or chat volume. 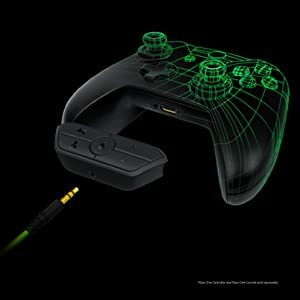 By having all the controls you need right at your fingertips, you won’t have to stop your gaming session to reach for your audio controller. 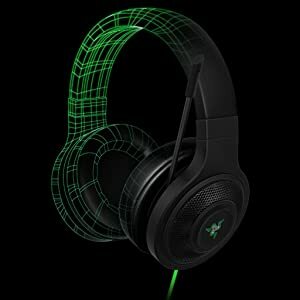 The Razer Kraken for Xbox One’s large 40mm neodymium magnet drivers are tuned for clear high- and mid-ranges as well as deep bass for powerful lows. A closed ear cup design with plush circumaural padding creates superior sound isolation so you can focus on your game or conversation uninterrupted by outside noise. 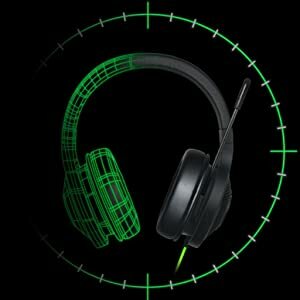 The unidirectional microphone of the Razer Kraken for Xbox One leaves no room for miscommunication – crystal clear audio reproduction with balanced natural sounding tones - relay your commands and smack talk as if you were right there next to your teammates and enemies. The flexible design allows you to conveniently flip up the microphone out of view allowing for easy storage when not in use. The Razer Kraken for Xbox comes bundled with an audio control unit that fits perfectly on your Xbox One controller, allowing you to access multimedia controls without having to reach for a separate remote control. 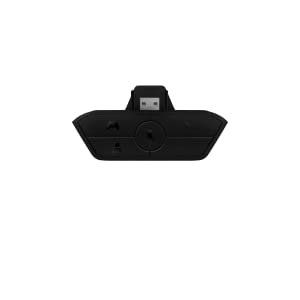 The audio adaptor places essential controls right at your fingertips, so whether you need to adjust chat and game volume, or mute voice chat, you won’t have to interrupt your game. 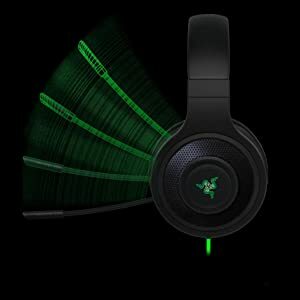 The Razer Kraken for Xbox One was built to be lightweight, yet fully adjustable for a perfect fit across all head sizes. The plush leatherette ear cushions complement the overall design to provide soft, cushy surfaces that rest discreetly around your ears, sealing off outside noise for an enhanced listening experience. The Razer Kraken family of headsets have always been the choice PC headset for eSports athletes around the world. When we set out to design the Razer Kraken for Xbox One, we wanted to create a design that not only looked great, but also one that you would want to keep using everywhere you went.